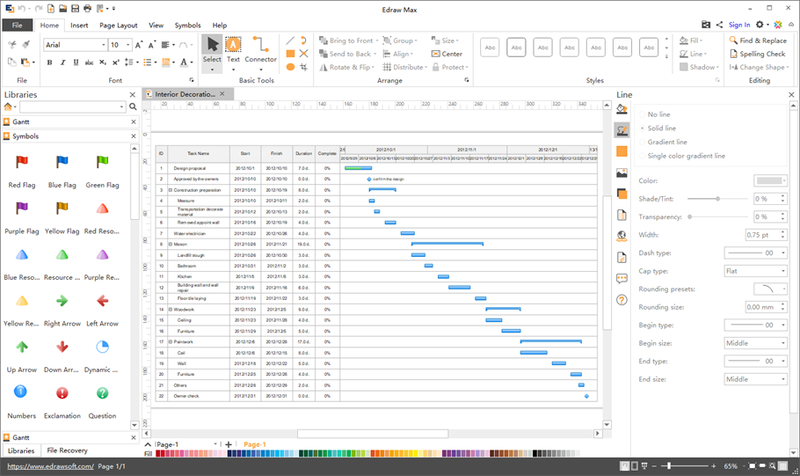 Project Chart Maker is a comprehensive project chart design program which makes it easy to create Gantt chart, timeline, calendar, PERT chart, etc. It empowers users to schedule projects, track time, plan resources and monitor performance in a single project management tool. It’s compatible with both Mac and PC, and the cloud feature allows users to share files and collaborate on projects. 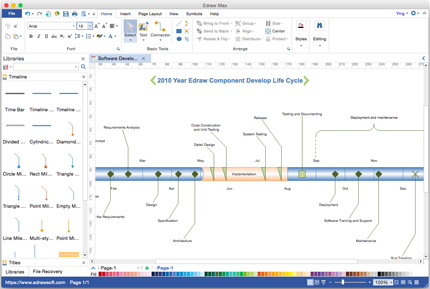 Edraw is a great project chart Visio alternative on Mac OS. Unlike other online programs requiring costly monthly or yearly subscription fees, it offers a lifetime license with cheaper price. Within the software, there are extensive pre-made symbols and templates to use. 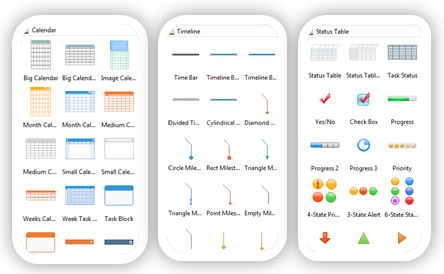 It has been embraced as a popular project chart desktop program for Mac system. The software contains smart built-in symbols including timeline, status table, Gantt chart, calendar, and HOQ, which make it ridiculously easy to use for even non-project managers. The floating buttons and automated tools allow you to manage these symbols at lightning speed. Ready-to-use preinstalled examples and instantly downloadable project chart examples for project managers to ease jobs. All are highly artistic and fully editable. Furthermore, you can convert them to various formats including graphics, MS Programs and SVG. They are designed by experts so that you can use them with only a little modification. The themes help you change the style at 1 click for your preferable look. Only a few simple steps are needed to create project chart in this program. Choose a suitable template or example. Make it your own way such as edit the text, color or font. You can even enhance all these elements with 1 click through the themes. Share it on any platform or upload it to the cloud in various formats, including PDF, JPG, PPTX and so on. 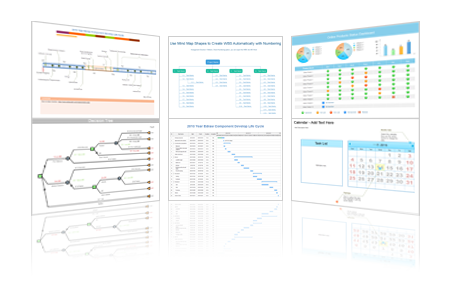 Your Ultimate Project Chart Software for Mac! 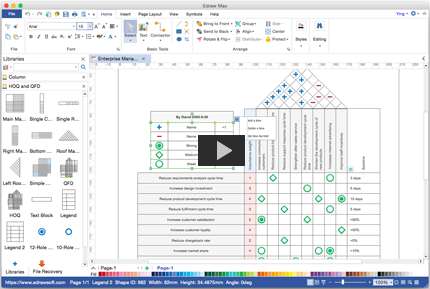 Enjoy creating Project Chart on Mac with this easy-to-use software. You'll be surprised by its abundant symbols and templates, amazed by how easy it works, and satisfied with the service and price. Try it today!